Shorebirder: The end of the gulling season? I had Tuesday, April 10th, off from work and the weather was crap. Cold and wet. It's been the theme of the "spring" so far. Loads of gulls still around, so I spent a few hours in the afternoon specifically seeking out Bonaparte's Gulls in search of a Little Gull. 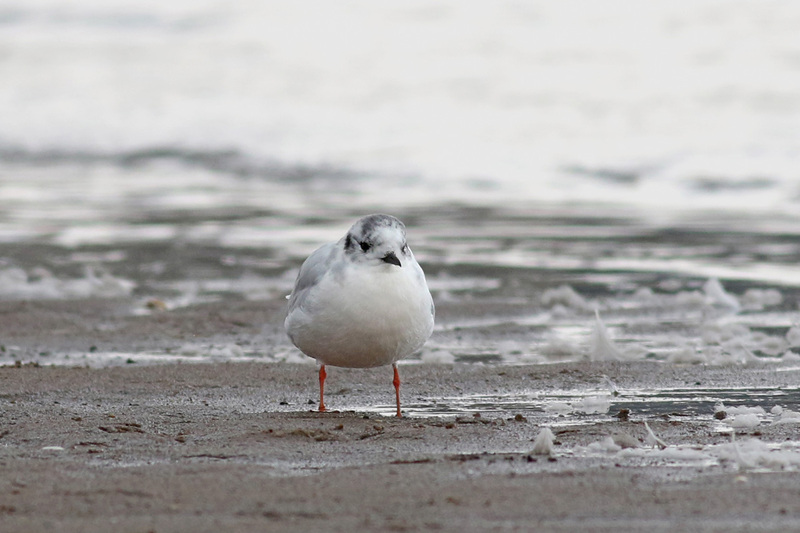 I hadn't seen a Little Gull in CT in three years, so I was due and didn't want to miss again this year. Their window of passage has narrowed over the years and now they are almost exclusively seen during the first half of April. They used to be more spread out through March into April. Now they're rarely seen in March at all. 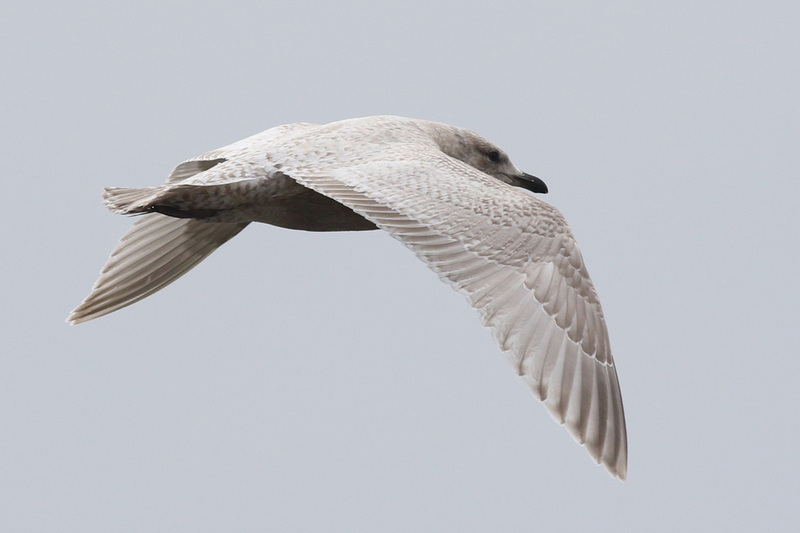 I came across Bonaparte's Gulls at four locations along the coast, the last of which held a good 75 or so birds. No sign of any Little Gulls when I arrived, but I would walk onto the flats and hang out for a bit since this would be my last stop. Soon there happened to be a slight turnover of Bonaparte's...several took off, while some flew in from Long Island Sound to bathe and preen. 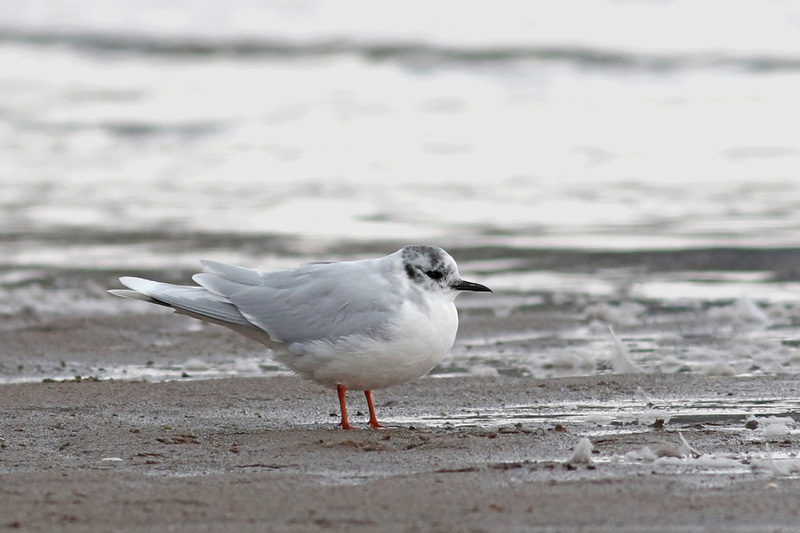 All of a sudden standing at the edge of the water was an adult LITTLE GULL. I have no idea how and when it slipped in. 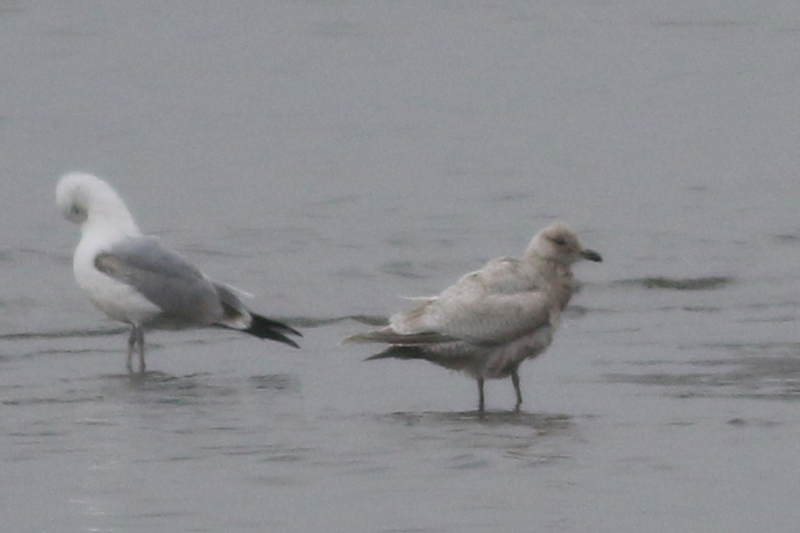 Did I really miss it fly in, or had it been hiding behind some roosting gull the entire time? I'd bet on the former, but can't be sure. After watching from a distance for a few minutes, the bird unexpectedly picked up and flew much closer to me, allowing for some photos before I was chased back to my car by a sleet squall. The bird had a subtle but noticeable peach wash on its belly. 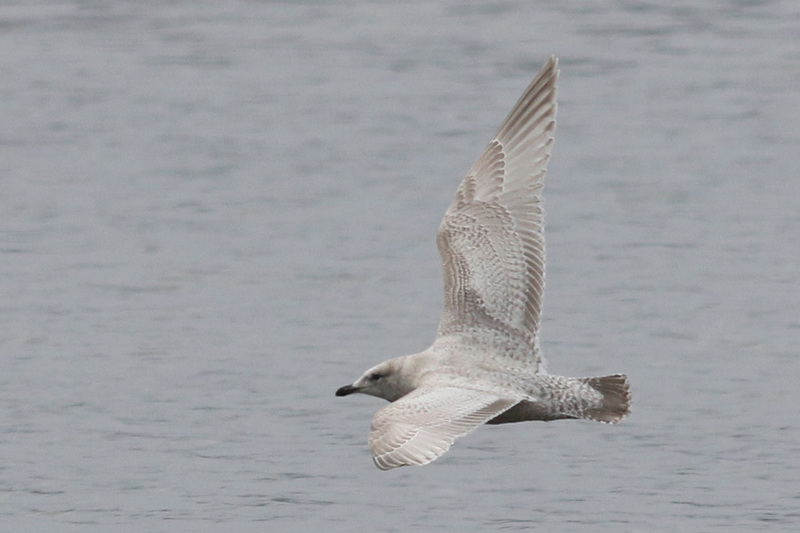 The hood was just starting to molt in, but the dominant markings on its head were the dark "ear spot" and the smudgy dark cap typical of basic plumage. 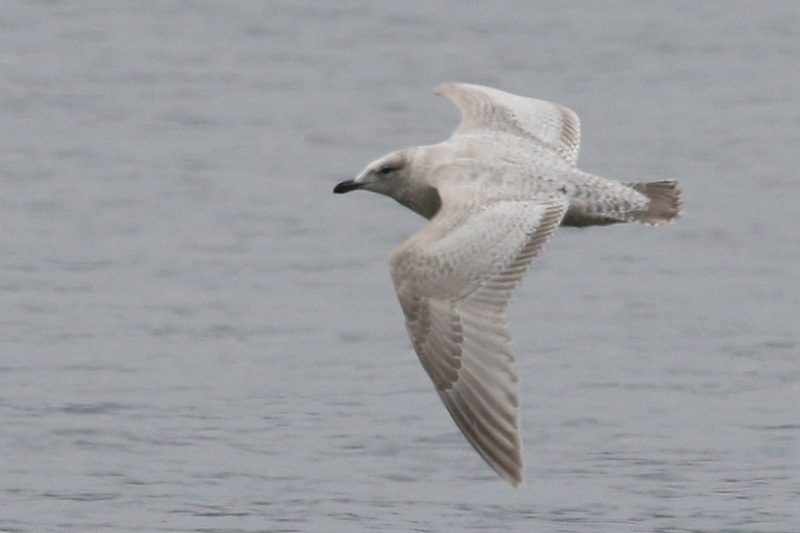 This put a great cap on the afternoon, which also featured a GLAUCOUS GULL and a first cycle ICELAND GULL that I don't think can comfortably be placed into either kumlieni or thayeri. Somewhere between the two. Who knows. Later in the week, we finally surpassed 60 degrees (even 70). I took a run through many of these same areas on Friday afternoon to find that gull numbers were way down. 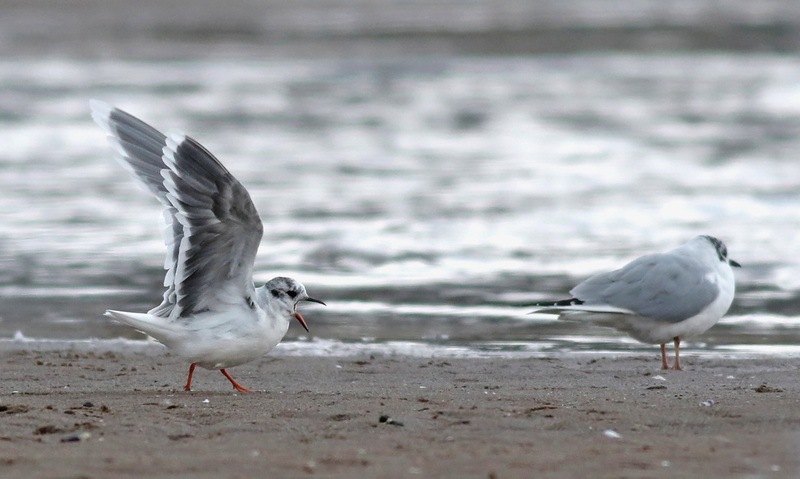 That is likely the end of the plankton-induced gull bonanza of 2018 in Long Island Sound. 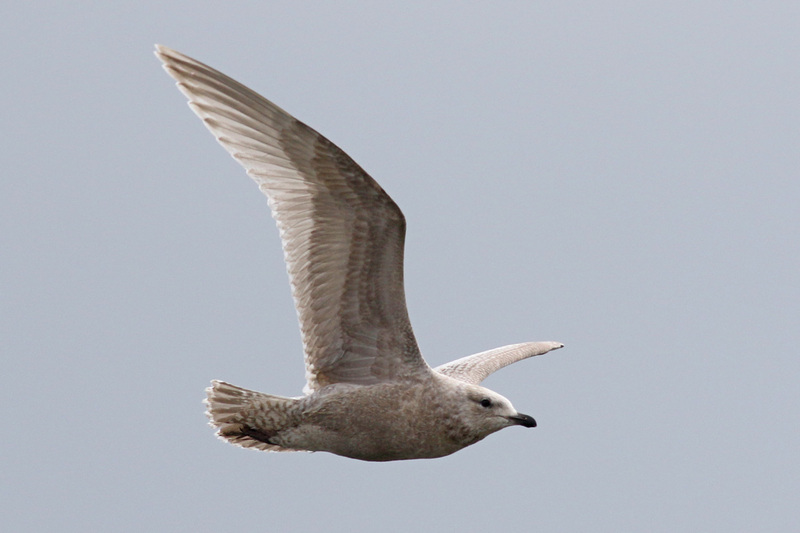 It's still not too late to get out there and see gulls, but we are officially past peak now. It really tends to drop off hard come mid-April.